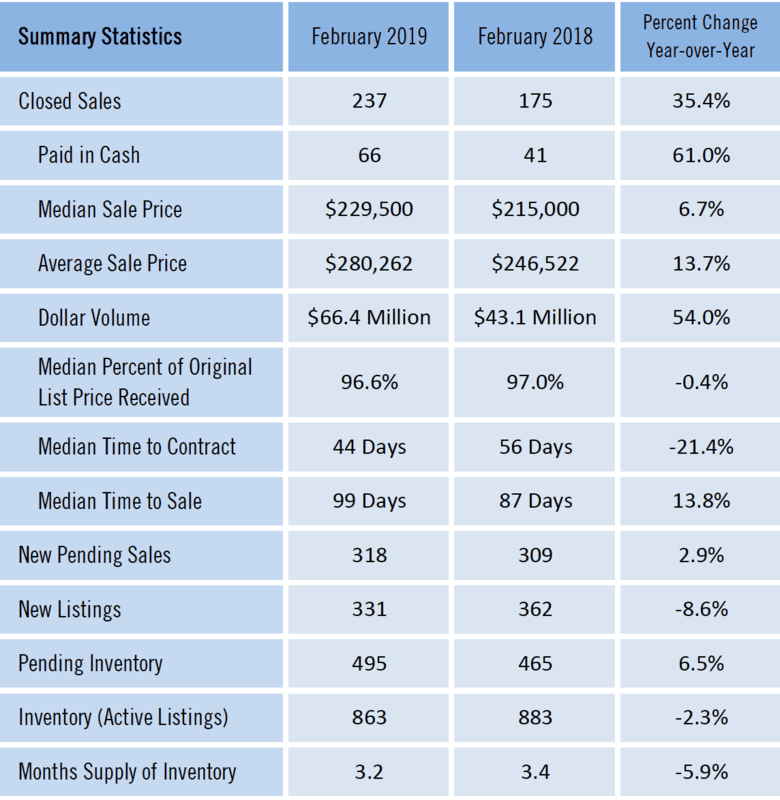 Gainesville Real Estate Market Report for February 2019. We are now going combine our previous market reports in to monthly post. Previously we were doing a separate post for single family homes and an additional post for the condominium market. You will see both the single family homes and condominiums sections below with detailed stats for each category. You will find other statistics on each chart. We love numbers and hope you enjoy our monthly market reports. New listings that came on the market this month are 331. This proves a seller market with frustrated buyers on low inventory. Our new PENDING contracts are sitting at 318. Closed Sales for February is 237 homes. We sure love to keep track of our market stats and will be sharing these reports each month. The charts will show statistics for the current year, then compared to last year and the change when comparing each year. 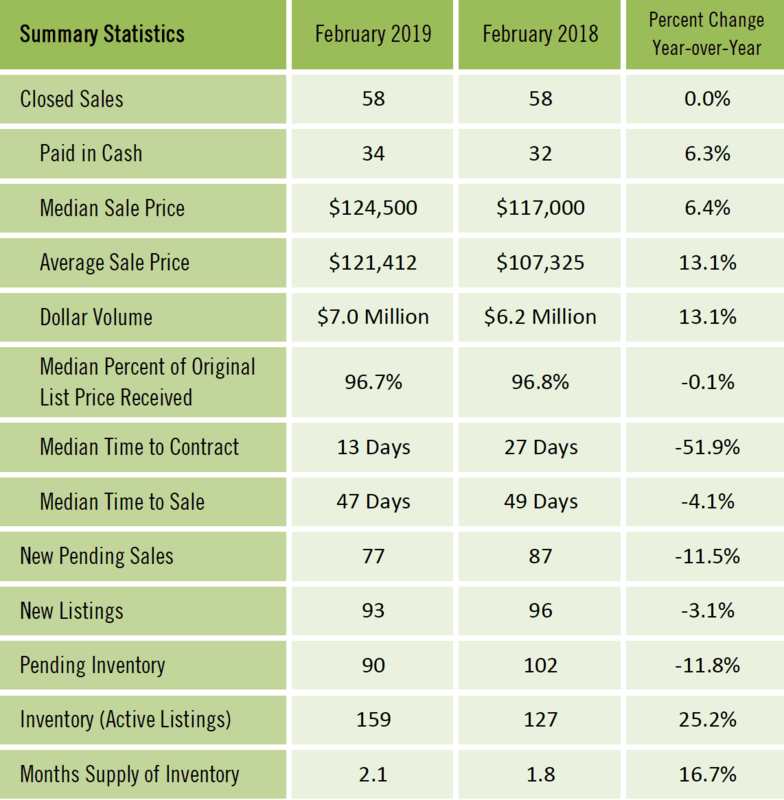 This is our Gainesville real estate market report for February 2019. The chart below shows the stats for the Gainesville CONDOMINIUM Market. Closed condo sales are 58 for February. And 34 of those sales were cash buyers. There were 93 NEW LISTINGS. And in February there were 77 condos changed to PENDING. Our months supply of inventory is low at 2.1 months. Our Gainesville Real estate market is low on condo inventory for sale. Listings are selling faster, which is shown under medium time to sale or medium time to contract percentage. Median Sales Prices are steady. The Gainesville-Alachua County Association of Realtors® provides their statistics to the Florida Realtors® each month and they compile statewide data that allows them to compile these reports. Each month we will publish Gainesville’s real estate statistics. This data is compiled by Florida Realtors® Research & Statistics division and is available after the 23rd of each month. Our monthly market reports help us understand Gainesville’s market condition.